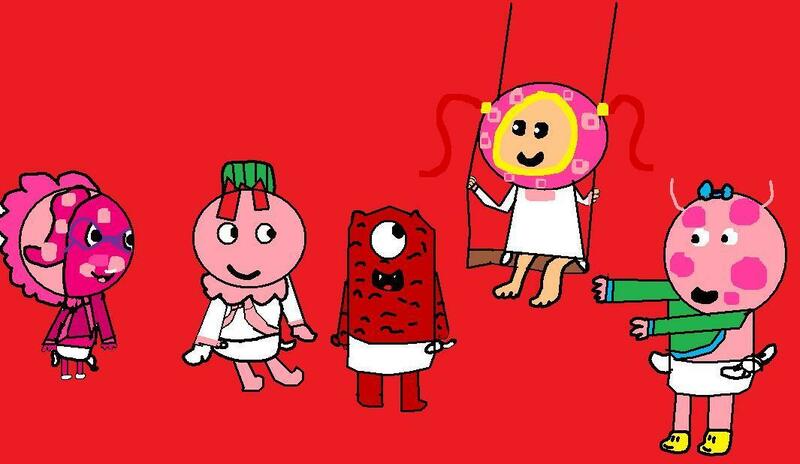 em bé Uniqua Muno Magenta Milli & Foofa foreveryoung.j. . HD Wallpaper and background images in the Old School Nickelodeon club tagged: babies uniqua muno magenta milli & foofa foreveryoung.j. This Old School Nickelodeon fan art might contain anime, truyện tranh, phim hoạt hình, and manga.